Elevation and demolition quotes are attached under MLS documents. A two-story CBS - frame constructed home in Mid Town totaling 2830 sq. ft. 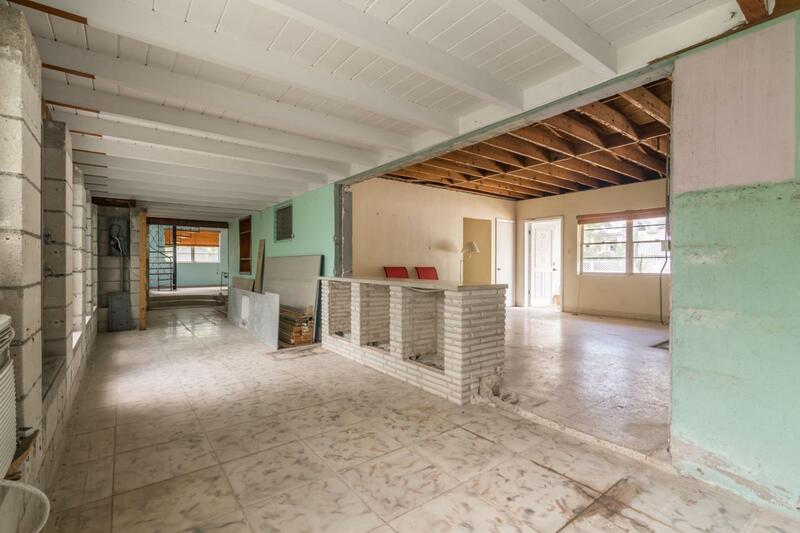 Situated on a large corner lot the home has been gutted and is ready for renovation. The water and sewer, electric and A/C wall units, solid counter tops, terrazzo and laminate flooring, balcony and covered seating area are all in good condition and in working order. The exterior of the home has various fruit trees, storage shed, laundry room, concrete driveway with a covered carport and off-street parking. Listing courtesy of Jared M Chiagouris of Doug Mayberry Real Estate (Kw).